Playing with art and materials can be an excellent way to enjoy and learn as a family and as part of a community. 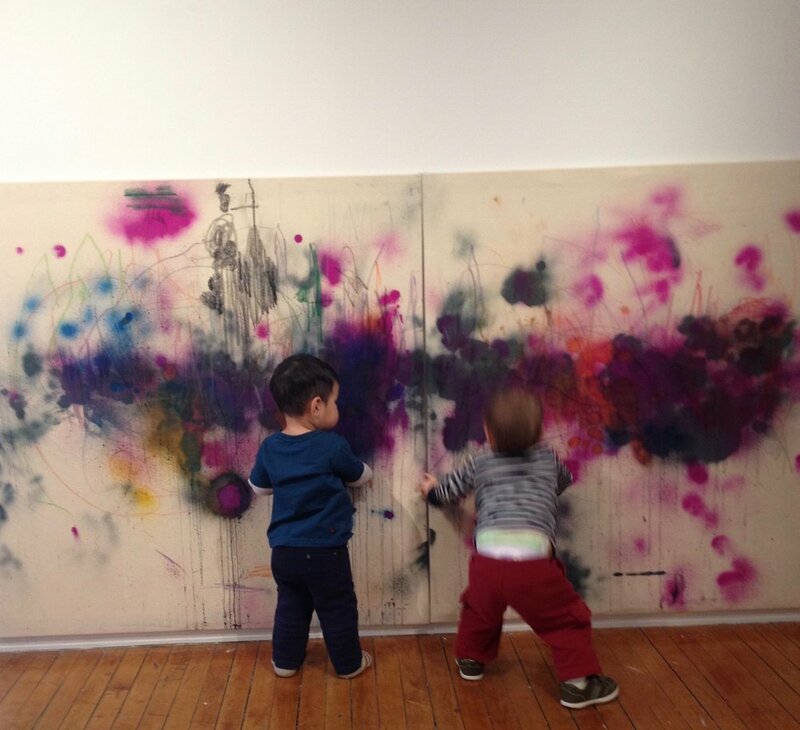 In art galleries, museums, or other spaces, community projects designed for people of all ages - individually or as a family - may offer opportunities to participate in meaningful experiences with art. As a curator, I design exhibitions and events that welcome visitor engagement and promote community interactions with artworks. As part of the curatorial process, I develop strategies encourage and support visitors in engaging with artworks and spaces as participating audiences. At Macy Gallery in NYC I have developed many events for communities, namely art receptions and sessions for children of all ages and their adult companions. 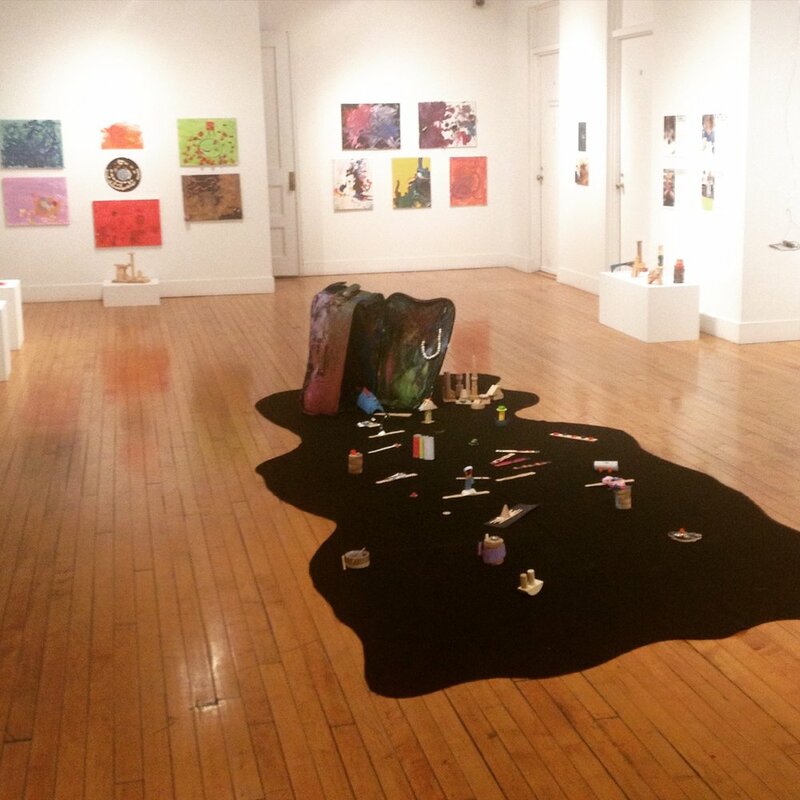 I design gallery events that welcome the community to the gallery as visitors and participators in art making activities from sculpture to glass fusing and mixed media collaborations. MiniMasterpieces is a program I co-created for Dulwich Picture Galley in London, UK. From a pilot of only a few sessions, MiniMasterpieces grew to be a standing offer in the museum, drawing families to sold-out sessions designed for children and caregivers on a regular basis. Museums and galleries are great spaces to work with communities in various ways - but they are not the ones. As I work and learn from different people in different settings, I get to better understand theirs and outs of different cultures - organizational, professional, social, etc. - and plan according to their specific needs and interests. In organizations like libraries I design and deliver professional development and events that help staff rethink their role and their work spaces to create places and activities that encourage and support active community engagement in accordance to their institutional goals and philosophies - such as what happen in Toowoomba, Australia. In schools and other educational settings I train staff - teachers, administrative, and other staff - in scaffolding their way into being comfortable using art materials and creating themselves ways of involving families and local communities in everyday and special events. In Macau, China, for example, I designed and delivered activities that successfully engaged families in art-based school events. In universities such as Sunduk College University in South Korea, I offer workshops that invite academic and school communities to campus to participate in art-based activities in open house days, seminars, etc. With my own graduate students at Columbia University Teachers College in NYC, in a yearly course dedicated to nurturing artistic experiences with young children and their families, I have worked with many Ph.D., Ed.D., and Masters students to help them create successful community artistic experiences in connection to their own professional practices in all fields such as open days for schools, art activities in family yoga retreats, occupational therapy family events, developmental studies, etc.